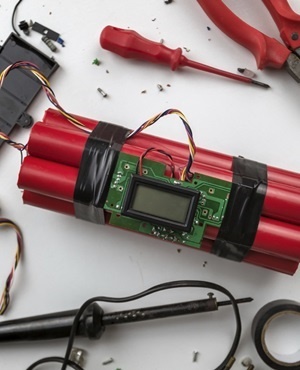 Yaound - A young woman blew herself up on Wednesday in Cameroon's far north, killing four people and injuring another in an area frequently targeted by Boko Haram jihadists from neighbouring Nigeria. The attack happened in Sandawadjiri, just 15km from Nigeria's northeastern border, a security source in Yaounde said, adding that "a young woman blew herself up" in front of a mosque. According to Amnesty International, Boko Haram attacks since April have killed nearly 400 people in Nigeria and Cameroon - double the figure of the previous five months - of which 158 were in Cameroon. At least 20 000 people have been killed in violence since 2009 and more than 2.6 million people have been left homeless. The group seeks to establish a hardline Islamist state in Nigeria's mainly Muslim north.